Search Engine Optimization (SEO) has come a long way over the years thanks to technology, improved analytics, and the dynamism in audiences. People launch new websites every day, and search engines are on the lookout for more modern strategies to incorporate into their indexing and ranking algorithm. Whether you are a beginner or not, optimizing your website is now easier than ever. In the process of content development, you must determine what your audience is interested in so you can satisfy them. Keyword research gives you a specific guide on what people are looking for online. With popular keywords, you understand which topic areas people want to read about, and what conversations people are holding. Keep tabs on people's conversations online and master the popular keywords in your industry. Employ the use of keyword research tools like Google Keyword Planner, and check out for latest trends through social media or Google trends SEO tool. When using an SEO keyword research tool, start off with an ambiguous search, then create categories as you narrow down your filters. It also helps to have niche topics that will guide the tool on the results to generate. In this tech-savvy era, you cannot ignore the impact of social media on communication and digital marketing. The truth of the matter is that a lot of the people you are targeting with your messages are already on social media, and joining the relevant platforms ensures that you take the information to them. Analyse the different social media platforms in comparison to the products and services you offer, as well as your niche. For example, if you are a corporate organization specializing in recruitment, you will find more value in the LinkedIn platform than on Instagram or Snapchat. While on social media, aim to grow your audience and followers to increase the audience reach for your messages. You can use these platforms as grounds to analyze your competitors where you can borrow a few tricks to get by, as to matters SEO. It is not enough that you have a website or that you are on social media. The way you keep your target audience engaged has an impact on your ranking on search engines, as well as your traffic flow. People online are social, which explains the rising prominence of social media platforms. Create messages that are relational and further, be sociable with your audience. Engage in conversations online, particularly those in line with your brand, as well as those brought up by your target audience. Consider sharing posts from people, and quotes, of course, crediting them appropriately to avoid plagiarism. All these techniques connote to your audience that you are real and they can trust your product. Remember, an engaged audience converts to a loyal fan-base and can begin to be your content promoters, covering a broader audience reach. Content tends to build up over time, and some of your old web pages may be hard to trace back. Internal linking involves including links to your previous work in the posts you share, which makes it easy for search engines to find more content from your website. When Google crawls your website for particular keywords, it will filter out the relevant content, leaving out the older posts. Internal linking directs Google bots on other information on your website that deserves a ranking. Further, internal linking provides more content for your audience to read, which helps you keep your target audience on your site longer. Linking to external sites is a great way to share the attention of the leading websites in the eyes of search engines and your target audience. Linking to renown websites also implies that you are well-researched and that you care about the audience finding more value on relevant information, not just keeping them for yourselves. Be careful to link out to legit websites, so you do not attract unmerited penalties from Google or sabotage your credibility. The Internet has made easy for people to access information as fast as possible, and your website should not stand in the way of audiences enjoying this privilege. Ideally, with the high demand for speed, people are not willing to wait for a page that takes more than 3 seconds to load, which is why you must fix the page speed of your web pages. Remove anything that slows down your website, and that includes comically large media files like images, too many plugins, as well as random pop-up ads that are also obnoxious. Further, to boost your speed, cut down on unmerited redirects, declutter your sidebar keeping only the necessary widgets, as well as consider browser caching. You can use an SEO tool like Google PageSpeed Insights to help check the speed of your web pages and notify you on any area that needs to be addressed to improve speed performance. In matters of SEO, great content is imperative for high performance on search engines. Quality content meets its purpose of either, entertainment, information, persuasion, or all. While it is essential to maintain a consistent frequency in posting information to people, it matters that it has quality. Low-quality content is distasteful to people and search engines. Provide relevance to your material by sharing well-researched information that is timely and current. The way you incorporate the keywords you determined is also essential in realizing quality in the article you share and how you market. Consider hot topics that are conversational starters, but more importantly, have a humanly perspective and a personal touch in your content. Visualization goes a long way in the learning process by attracting attention reinforcing retention. Embrace different material, for instance, short-form evergreen content and long-form informative content. When developing your copy, capitalize on lists that straightforwardly pass across the message. You can also use bullet points, and highlight significant ideas to structure your work better, which will also correctly position your website for featured snippets on search engines. Furthermore, deliberate on using graphs, tables, images, photographs, interesting infographics, among others, to segment your work into parts that are easy to consume. For long-form content especially, it helps to have a variety of things to look at, including videos, which can serve to complement the copy or communicate the entire message. For the images, ensure they are high quality but not too large to compromise on the speed of your web pages. Infographics aren't always the most SEO-friendly, or the quickest and most affordable option, but if you include an embed code below them then others will publish on their sites. This could provide you with dozens or even hundreds of high quality backlinks from relevant websites. In the process of SEO, even experts forget to optimize their images. The media you share on your website is essential in pointing people towards your web pages, and failing to optimize them sells you short. Other than compressing your media, so they do not slow down on speed, you must capitalize on image titles, alt texts, descriptions, and captions, to communicate your message, but more importantly, strategically use your primary keywords. Metadata is important an area for using keywords without getting into keyword stuffing. Meta tags, for example, could make or break your SEO technique by affecting your click-through rates. The higher the click-through rates, the higher the conversion rates and traffic flow. Other than having keywords in your meta tags, they must be eye-catching to draw the attention of your audience, while still clear in hinting what the post concerns. Ensure your business' meta tags have clear call-to-action, value proposition, and keywords, all stated in a few words as possible. Make sure meta tags are a top priority for your site. All of these improvements will really add up to more traffic and an improved business reputation. 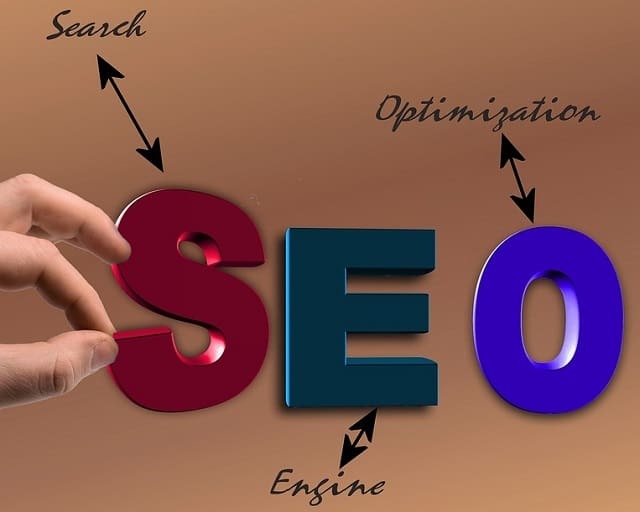 SEO may seem overwhelming, especially for beginners, but if you consistently practice these tried and tested tips, you should realize tremendous results in your ranking on search engines. For more on how to keep tabs on your performance on search engines results, visit https://serpbook.com. I hope you enjoyed this article about top SEO tips anyone can apply to their website and online marketing strategy.